While interest in cooperatives is growing, evidence of their unique contributions to economic activity, community vitality and worker well-being is still emerging. 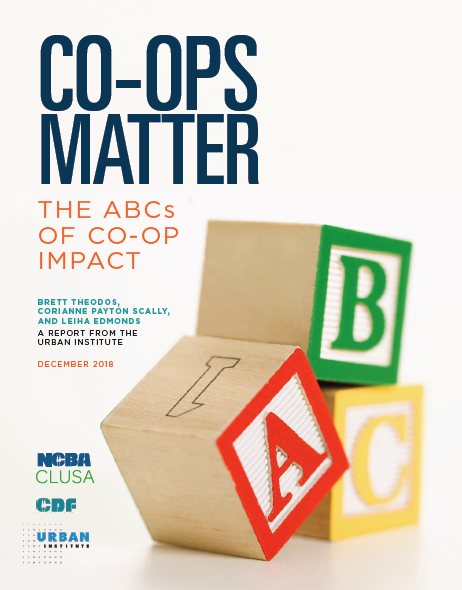 To better understand co-ops and their link to healthy, equitable and sustainable communities, NCBA CLUSA and the Cooperative Development Foundation have been working with the Urban Institute to develop a shared framework for assessing impact—on cooperative enterprises, their members and the communities they serve. This partnership was supported by a grant from the Robert Wood Johnson Foundation.